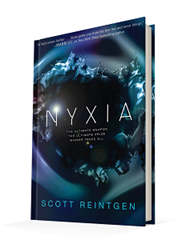 by Scott Reintgen is the first in his young adult science fiction series titled The Nyxia Triad. 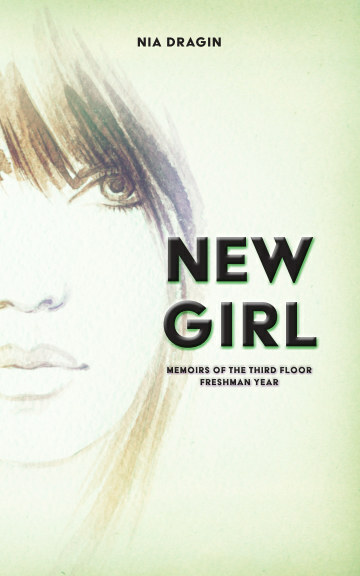 As far as young adult books go this is probably the most diverse one out there. There are so many characters here from so many different backgrounds and ethnicities. They are all so different but the same as they come from very different but equally hard backgrounds. It’s a little reminiscent of the hunger games in the way that these ten children, teenagers, are fighting for the eight spots available to go the planet, Eden. This pits them against one another for a spot in the top eight, and for many of them, these spots are life or death. With that comes tension and suspicion as the characters continue to bond and face off against one another. However, for most of the book, while the characters are learning, there is some repetition. It’s understandable why there is some repetition to the novel, the plot takes place in a small scope. They are in space cooped up in a space ship, going over everything they need to know for when they embark on Eden. Going over those same steps repeatedly does slow down the plot a lot. It does offer the reader a chance to get to know the characters, see who they are as they size each other up, but again it does come off as tedious. It’s just a very confined space the author has set up so at least it offers the reader a deeper insight into who the characters are and how they grow throughout the training, both individually and as a team. Emmett is also a fascinating character because of his voice in the novel. He often struggles with making sure that he retains his morality, this idea that he’s a good boy and a good son. Much of this is put to the test through the novel as his life is put on the line and some of the other characters. It’s satisfying to see how he reacts, how he responds to the other characters and their eagerness to make sure, by any means necessary, that they make it into the top eight. Every so often he takes a good hard look at himself and connects who he has become to who he was, giving the reader some insight into his past. As far as the story goes, there’s an intense sense of mystery behind Babel and why they chose these teenagers. Through context, the reader can figure out why the corporation chose these kids, but for the kids themselves, they are still trying to navigate around why. Then there’s added intrigue as Emmett begins to explore the ship. There are so many mysteries behind every corner, so many things that the kids are trying to figure out about the corporation and about each other.